﻿﻿We always appreciate when our patients give us feedback on their experience at Artistic Dentistry! "Dr. Roussel and his staff have made every effort to ensure that I'm getting checked up in the most comfortable setting possible. They do great cleanings and the hygienists are some of the best around. They don't try to push unnecessary procedures on you and are more than happy to allow you time to weigh your options and confer with them." "Very Pleasant visit. Made me feel extremely comfortable and most of all did a great job. The staff is very courteous and very knowledgeable about what's going on. Great experience." "Great staff. Dr. Roussel is a great dentist. Gives great shots." "Outstanding! For 27 years I have always been afraid of the dentists. 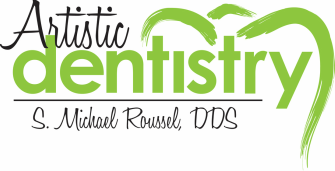 Dr. Roussel changed my perception of dental visits and care. They made the visits very comfortable. I am recommending all of my friends to Artistic Dentistry." "Dental appointments are not something I look forward to, however Dr. Roussel and his staff are well trained, professional, very friendly and make me feel very comfortable. I highly recommend Artistic Dentistry."